The Canadian BBQ Society (CBBQS), in partnership with Lumber Jack Distributor Canada, is proud to announce a new program that will benefit members of the Canadian BBQ Society. Several of our board members have been avid users of Lumber Jack for many years, and we’re proud to align ourselves with such a high-quality product. Sponsorship of 10 CBBQS BBQ teams: 200 lbs of pellets, shipped free, to a local freight terminal in a major center. Details will be announced. 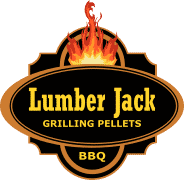 15% discount off all retail product pricing, and special shipping rates, from lumberjackpellets.ca. This offer is available to all CBBQS paid members. $25.00 online coupon for all new paid members to be used on lumberjackpellets.ca. This offer can’t be combined with other coupons, and does not apply to sale / clearance items. We are looking forward to seeing more teams cooking with Lumber Jack! As we close out 2018, we’d like to take a moment to acknowledge our 2018 Provincial and Canadian Champions! Quebec – Jocelyn Martel, What the Pork? Finally, we’ve established a new Rookie of the Year award, awarded to an active CBBQS Member team competing in their first year, in a sanctioned four meat competition, where the head cook is competing as head cook in their first season! Winners will be determined annually based on overall CBBQS rankings at the end of the year. Congratulations to Ryan Durand, Nathan Howse, & Derek Durand from Dos Smokin Bros!